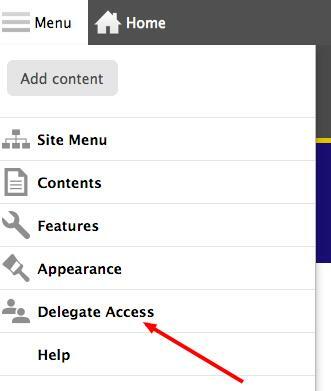 When logged in, select ‘Delegate Access’ link from the Menu link on the top of the page. 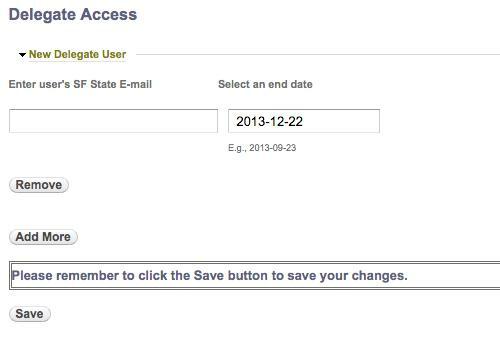 Enter the SF State E-mail address of the person to whom you are giving access to edit/update your site content. You can also set an end date till which this access is valid. Select the Save button. You can use the Add More button to grant access to more people.